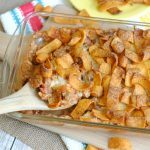 It has been a few weeks since I shared a good casserole recipe! 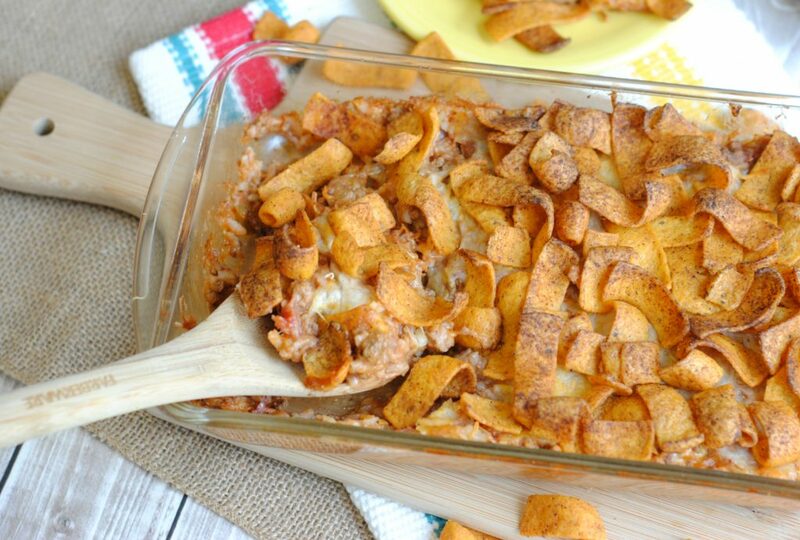 There is just something so perfect about serving a casserole for dinner and this Frito Taco Casserole Recipe is sure to be a hit! 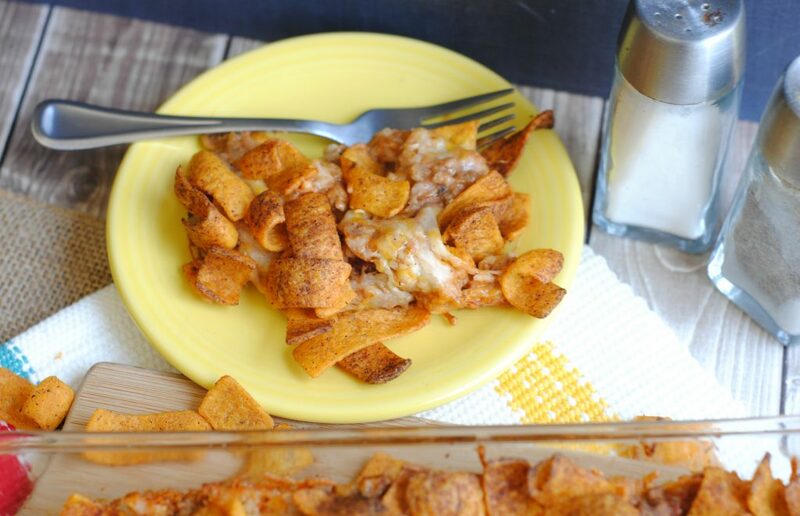 Cheesy, Meaty goodness covered in Fritos…yes please! How can you go wrong with anything that is taco flavored! 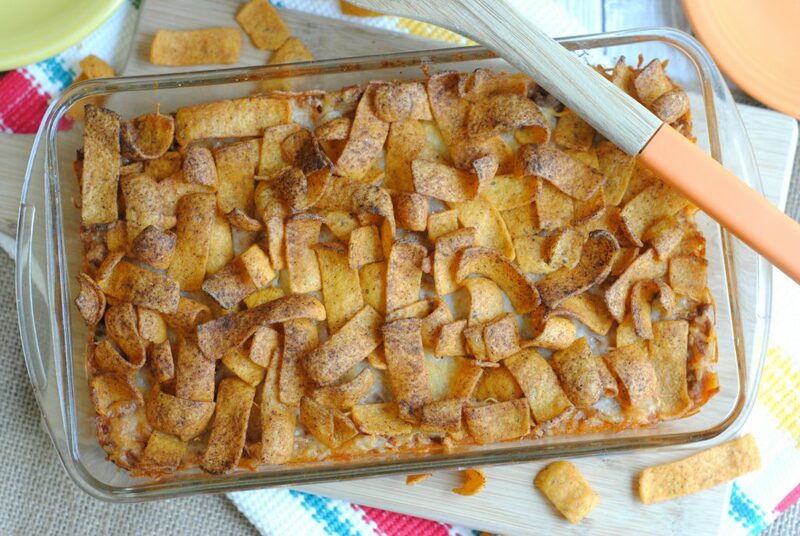 If Fritos are not your thing ….than I do have a Taco Tater Tot Casserole Recipe that is also oh so delicious! As you can see I like making anything taco flavored that I can. Do you make tacos often? I feel like right now they are sort of an unofficial food of the year. Have you seen all of the hilarious meme’s on Facebook about Tacos. So funny! Ok, no distractions with Facebook it is time to make a killer dinner that is easy and tastes amazing!! I am so not sad about this recipe…lol! Preheat the oven to 350 degrees and spray a 9×13 baking dish with non-stick cooking spray. In a medium saucepan, brown the burger with the diced onion and drain grease. Add in the 1/4 C. of water and taco seasoning packet and let simmer on low for 10 minutes. In a large bowl combine the taco meat, salsa, cooked rice, shredded cheese and refried beans. 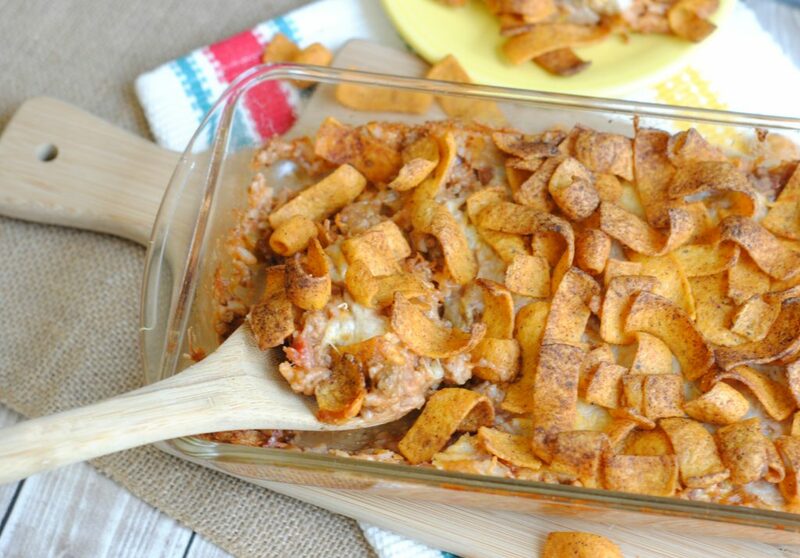 Top with 1 C of the Fritos and bake for 25-30 minutes. Remove from the oven and top with the remaining Fritos or serve on the side. Make sure and Pin the image above so you have it. 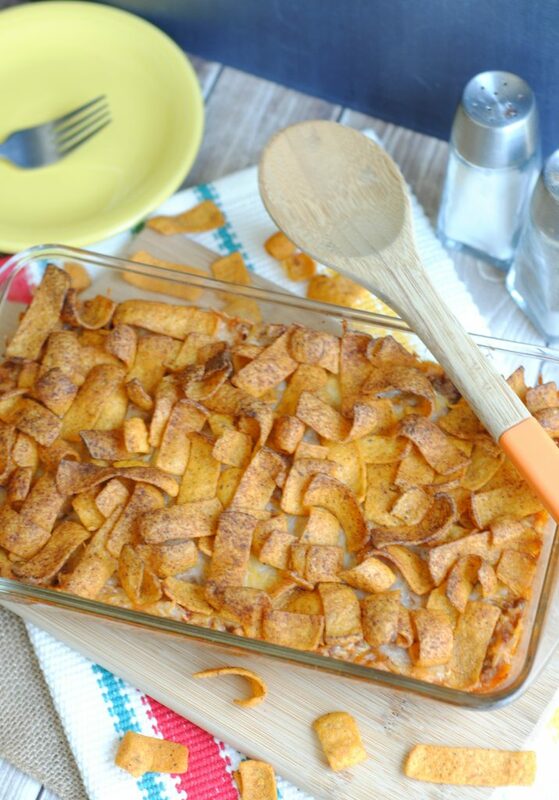 This casserole sounds delicious, I love that used fritos. I will definitely try this recipe on my family. This casserole looks yummy. It has the ingredients that my grandkids love. This looks so delicious! I must try it soon! This really makes me hungry. I love tacos, I love fritos, I have got to try this. This looks so easy and good. Great for the weekend. Now if that’s not comfort food, I don’t know what is! Mmmm!